I am available for Murals, Window Painting, and Theater backdrop designs. Please contact me for more information. 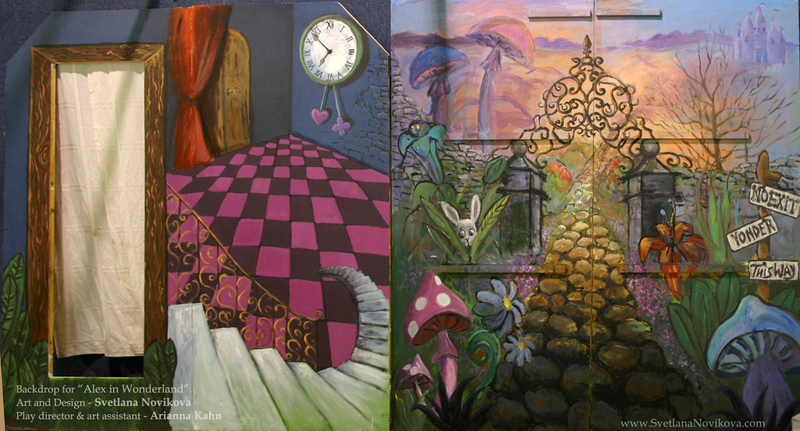 This is a 8'x16' stage painting for 'Alex in Wonderland' Production. Painted on Wooden panels with Acrylics. 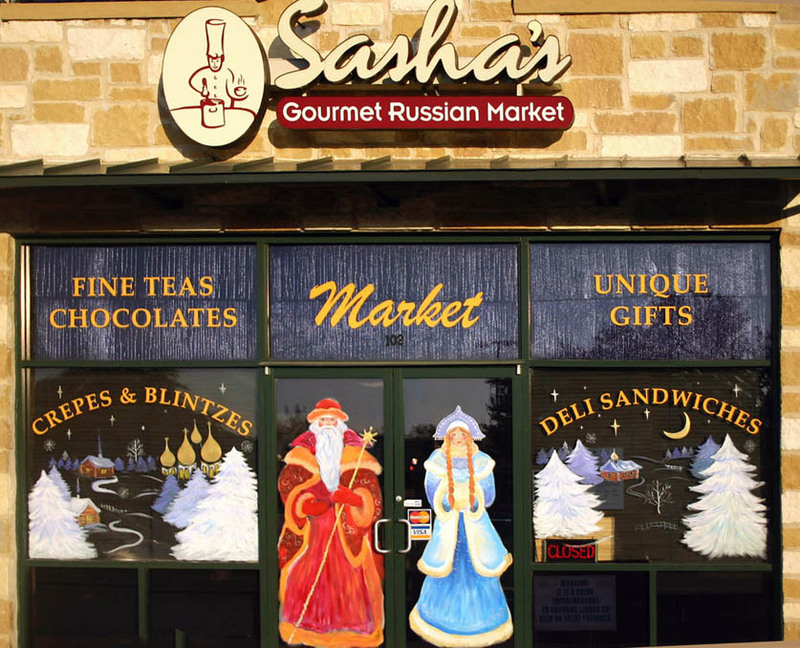 Holiday Window painting for Sasha's Russian Gourmet Market in Austin Texas. I've designed and painted this mural for Sterling Classical School. Design is based on their logo. Please contact me for prices and any other information.